Course Description: Students will gain foundational knowledge to apply to life and learning in the years to come. The major topics covered are character, critical thinking, logic, public speaking and study skills. Note taking, test taking, planning, reviewing and time management will be learned and practiced. Students will explore learning styles and a variety of study methods. Students will learn how to research, evaluate resources and use unique primary sources to learn about the past. Public speaking topics include active listening, overcoming fear, job interview skills, business communication, as well as preparing and giving a variety of types of speeches. Logical fallacies will be taught and examined in propaganda and in a variety of bias examples found in media and in the classroom. Daily critical thinking exercises as well as logic and brain training games will sharpen students’ focus and attention. A short daily reading based on a character trait will remind students of how their attitudes and actions affect others around them. Other minor topics include manners and etiquette, reading cursive, signature practice, money management, internet safety, personal information safety and spotting online scams. Read the definition of alertness. How do you demonstrate this character quality and when do you miss the mark? Sign up for Read Theory. Choose 9th as your level or take the placement test if it’s offered. Complete this “course” on thinking about learning. Keep clicking next until it’s done. This course requires an account to be made. After you make an account/log in, come back here to click the “thinking about your learning” link. There is grading for this course, but you aren’t receiving scores until nearly half way into it. You can check off that you’ve completed each day. That will be part of your overall grade. Don’t check off a day unless it’s complete! No points for incomplete work. (*)Print out your grading sheet for the whole course or use the Excel version. Go to Read Theory. Do the next quiz offered to you. Learn about learning styles. Click on the different types and make sure you understand what they are. Take a learning style quiz. Take this quiz on identifying how you learn best. At the end it will give you your result and a link for you to read more about your dominate way of learning. Read the definition of attentiveness. How do you demonstrate this character quality and when do you miss the mark? Think about the things you really enjoy doing. Make a list of them, a list of verbs. They probably lay around your areas of strength on the quiz, since we all normally would rather do what comes easier to us! Be honest with yourself in making your list. What (job) would let you do those things? Go through this mini course on preparing and exploring. Reminder: You have to be logged in to your Alison account. This course is teaching you various study skills. You need to apply these lessons in all of your other studies. Here are some simple ways to use the “preparing and exploring” process: Before you read a text, make sure you know what the follow-up assignment is going to be so you can keep it in mind as you read. If there are questions to answer afterward, read them first and then the answers will stand out as you read. While you read, take notes of information that would be useful for your assignment and where that info is found so you can find it again if needed. If you just need to learn the information for potentially a test, take notes by writing down main words. Go through this mini course on implementing and reviewing. Reminder: You have to be logged in to your Alison account. This course is teaching you various study skills. You need to apply these lessons in all of your other studies. Here are some simple ways to use the “implementing and reviewing” process: After you’ve gone through the assigned material, complete the assignment. Check your answers and go over anything you got wrong and take the time to understand the correct answer. Get any help needed to make sure you understand before you move on. Read the definition of availability. How do you demonstrate this character quality and when do you miss the mark? Go through this course on preparing for a test. (Revision is how they say review in other English speaking countries.) Reminder: You have to be logged in to your Alison account. Here are some more time management tips for students. Go through this mini course on time management and procrastination. Reminder: You have to be logged in to your Alison account. Create your time-use log. Do it for at least 24 hours. The longer you do it, the more you’ll see where you lose/waste time. Go through this mini course on time management tips. Reminder: You have to be logged in to your Alison account. Read the definition of boldness. How do you demonstrate this character quality and when do you miss the mark? Put what you have learned into practice. Choose a goal. 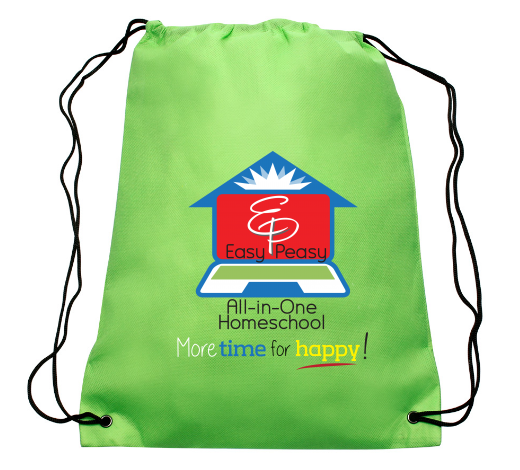 It can be an assignment, such as an essay, or learning vocabulary words, or something else. Set a deadline. Create smaller deadlines for what you are going to accomplish along the way and by when. Read through this introduction to “key skills.” Which of the skills do you see as strengths of yours? weaknesses? Reminder: You have to be logged in to your Alison account. Go through this course on developing your thinking. Reminder: You have to be logged in to your Alison account. Go through this course on different kinds of thinking. Don’t just read it. Think through/do the activities. Reminder: You have to be logged in to your Alison account. Read the definition of cautiousness. How do you demonstrate this character quality and when do you miss the mark? More on thinking. (A thinking disposition and the process of development) Reminder: You have to be logged in to your Alison account. Ask questions. Reminder: You have to be logged in to your Alison account. Write a question that will push your learning further for each of the courses you are taking. Thinking structure. Reminder: You have to be logged in to your Alison account. Make a mind map for something you are studying: a book, a science topic, a research topic for an essay. Read the definition of compassion. How do you demonstrate this character quality and when do you miss the mark? Watch the video on how to take notes. Learn to take notes with the Cornell system. Read the definition of contentment. How do you demonstrate this character quality and when do you miss the mark? Watch the video and scroll through the examples. Then read the explanation. Take notes on the dining etiquette video. Do not pause the video. Read the definition of creativity. How do you demonstrate this character quality and when do you miss the mark? Take notes on the teen etiquette video. Stop at 6 minutes. Do not pause the video. Take notes on this article about manners for teens. As you go through this course, take some notes. There will be a test. Watch this video on procrastinating and this one on how to study for a test. Read the definition of decisiveness. How do you demonstrate this character quality and when do you miss the mark? Read about answering the telephone. Role play. Have someone or a few people pretend to call you, or actually call you. Follow all the rules of good telephoning skills. Study your etiquette and manners notes. Were your notes successful in helping you prepare for your test? Read the definition of deference. How do you demonstrate this character quality and when do you miss the mark? Watch the video on this site for learning how to research. Then scroll down and read through the page. Read through the research steps. Do the first two steps. Click on those links for specifics. Go ahead, choose a topic. It can be anything. You can research colleges, horse care, pumpkin pie recipes, Saturn, anything. Do steps three and four. Click on those links. Make at least one source card for the place where you got your overview information. Read the definition of dependability. How do you demonstrate this character quality and when do you miss the mark? Do steps five and six. Click on those links to learn more about how to do it. Do steps seven and eight. Do steps eleven and twelve. Make sure you use reputable sources online. Just cause someone wrote it, doesn’t mean it’s accurate. Do steps thirteen and fourteen. Read the definition of determination. How do you demonstrate this character quality and when do you miss the mark? Determination Do you see how they are taught to succeed by sheer determination? DON’T DO steps 16-19. Just click on the links and read more about them. DON’T DO steps 20-23. Just click on the links and read more about them. You are going to be learning about using the best kind of sources for research, primary resources. Primary resources are first-hand information. An interview is a primary resource. You are going to be looking at other primary resources. Read this page about images as primary resources. Then “be the historian.” On this page you’ll do each activity. Read the definition of diligence. How do you demonstrate this character quality and when do you miss the mark? Read this page about objects as primary resources. Just read this one page. Read this page about maps as primary resources. Just read this one page. Read this page about music as a primary resource. Just read this one page. Make observations about this South Indian music. Diligence and one more Think about how you demonstrate this character quality and about when you miss the mark. Read this page about newspapers as primary resources. Just read this one page. This is the end of the first marking period. You don’t have any scores yet, but a big part of your grade will be your diligent completion of the daily assignments. Also, there will be a test on what you are learning. Are you remembering to practice your study skills? If you want to save things for a portfolio, you can print out samples of the different materials used. If you need a grade, divide your number of days completed to satisfaction by 45. Read the definition of discernment. How do you demonstrate this character quality and when do you miss the mark? Read this page about official documents as primary resources. Just read this one page. Read this page about official travel narratives as primary resources. Just read this one page. Read this page about personal accounts as primary resources. Just read this one page. Read the definition of discretion. How do you demonstrate this character quality and when do you miss the mark? 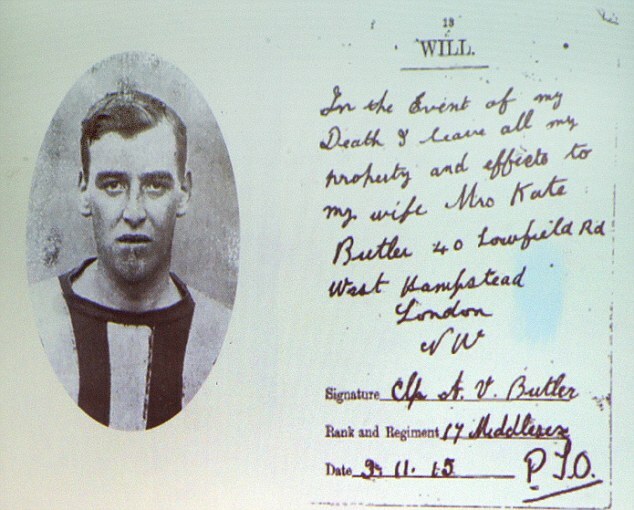 Many personal accounts of old were written in some type of cursive handwriting. Maybe you’ve never learned to even write, let alone read cursive. It’s up to you whether or not you want to practice and get comfy with writing in cursive, but I want you to learn a little bit for a couple of good reasons. 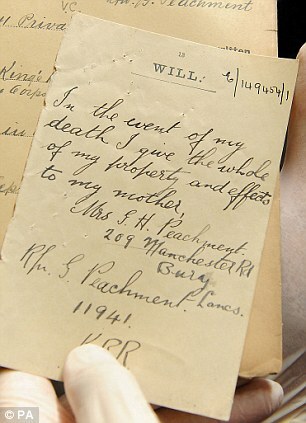 The first we are going to deal with is for reading old letters. My grandmother wrote all of her letters in cursive. You don’t have to go back very far to find cursive to be the only way things were written. If you are going to use written historic primary resources, you’ll need to be able to read cursive to some extent. Do you get this joke? Click on each of the lowercase letters in the list (scroll down) and write each one down at least a couple of times as you watch. Click on each of the uppercase letters in the box on the right and write each one down at least a couple of times. *Print out a cursive worksheet. Copy in this text or write your own. Here is my practice sheet for reading and writing cursive. I want to learn so that I can read historical documents. Can you read it? Figure out each word and copy the sentences. Read the definition of endurance. How do you demonstrate this character quality and when do you miss the mark? Choose each of the five worksheets to read. If you want more practice, here is a page of words for each letter of the alphabet. 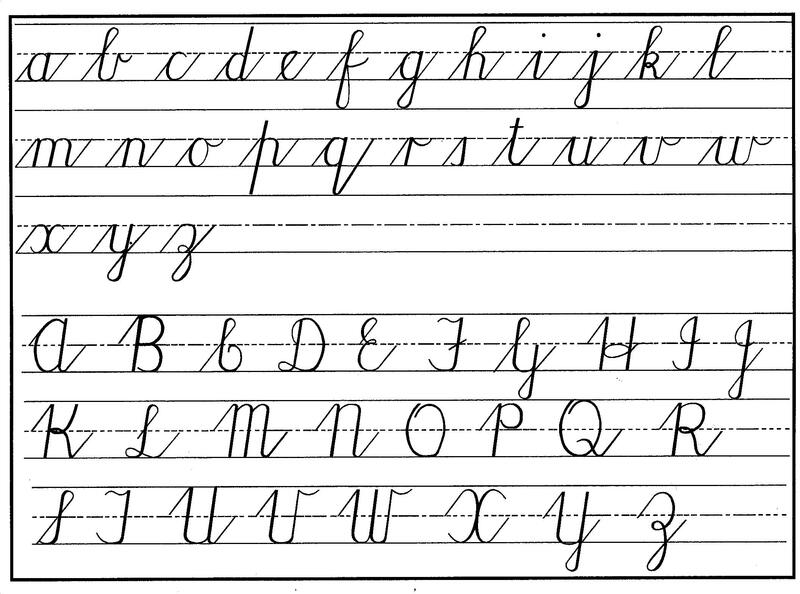 Here is another type of cursive practice sheet. Which letters are different? Here’s another example of a back and forth style. This letter was sold at an auction. It’s a letter about a famous discovery, written to his son. Try to read through the first page. Click on the first page of the letter in the image. Click it again to zoom in. You can click and drag the image around to see more. If you are unsure of a word, use context clues, and ask for help if you need it. If you didn’t get the joke on Day 49, try again. Compare the first few lines of this script with the typed version. To see the typed out version, click on the first button on the left underneath the image. The button has a flower picture on it. The typed version will appear in the box on the right. As letters get older, they get harder to read. Try this one. You won’t get it all. Get what you can. Use context clues to figure out words you aren’t sure of. My interpretation (click and drag to reveal after you have made your interpretation) : the can. ____ that no invitations are issued(? ), but that any friends of his who wish to attend will he most(?) welcome. Here is the apparent real translation. Read the definition of enthusiasm. How do you demonstrate this character quality and when do you miss the mark? The farther you go back in history, the harder the handwriting gets. Even those who grew up writing in cursive have trouble with this. Just give it a try today. Read this page on transcribing (writing down what something says) on handwritten documents. Read how the first line was transcribed and then click on submit. Then try line two yourself. Try it. Then use the hint button. Can you get through the one line, even with the hints? Remember that you aren’t translating it. You aren’t writing it how we would write it today. You are just trying to read each letter and write it down. Go back to writing cursive. Write down each letter in your first, middle and last name. Make sure you use uppercase letters for the first letters! Now connect the letters. Use these word worksheets to figure out how to connect the other letters together. Each page has a capital letter example. Read the definition of faith. How do you demonstrate this character quality and when do you miss the mark? Practice writing your name. Your whole name, including middle name. Look at these samples. Come up with a signature all your own. Write it at least twenty times. You are going to need your signature to make official many documents in your lifetime. One such document is the check, a method of payment. Before we get to that, let’s start with learning about banks. Write your signature. We call it “signing your name.” When you need to sign something, you have to write your full name, no nicknames, and sometimes your middle name is required. I won’t make you learn the math of how interest grows your money. But here’s an example of what happens if you just let your money sit in an investment that’s making stable growth. A bank account won’t grow your money this quickly, but if your money is going to be sitting around, you might as well put it in an account that will grow it. Scroll down the table. Read the definition of flexibility. How do you demonstrate this character quality and when do you miss the mark? There are four ways to grow your money: earn, save, invest, give. Give: In God’s economy it’s more blessed to give than to receive. The disciples pass out 5 loaves of bread and 2 fish and end up with 12 baskets full of food. They ended up with more by giving. When Elijah asked the widow for bread, she gave up her last bit of food, but she ended up with a never-ending supply of oil. This isn’t a formula to get rich. God can see in your heart if you are giving out of love or out of greed. Let’s look at what the Bible says about these things. Let’s start with saving money. Explain to someone what the following verses teach about saving. Now let me share a little more about investing. Investing is related to saving because it’s where you save your money. There are safe ways to invest your money, like in a bank that is insured so that you are sure to get your money back if anything happened. There are unsafe investments: the bigger the promise of how much money you’ll make in an investment, the bigger the risk the investment is. People have lost all of their money, their homes, their savings, everything, by making poor investment choices. Don’t get enticed by a get rich quick scheme. Also, when you invest you are lending your money to someone else. They may use your money for things you wouldn’t approve of as a Christian. Think about how your money will be used. Just making money shouldn’t be your highest aim. There are also different kinds of investments in terms of what access you’ll have to your money. Sometimes you won’t be able to get your money for years. Sometimes you’ll have full access to your money. There are lots of decisions to be made. Your first investment should probably be putting your money into a savings account at your parent’s bank. Now a little about giving. You can also be thoughtful about how you give. Some things may sound great like organizations that help kids with cancer, but then if you research them you find out that most of the money you give goes to advertising for the organization instead of to the kids’ families. My favorite organization to give to is called Heaven’s Family. You can choose where you want your money to go: orphans, widows, Bibles, job skills, feeding the hungry, medicine, and they use 100% of your money to directly help whatever you chose. The organization takes none for their salaries or advertising or expenses. Giving is a lot of fun. The Bible says that God loves a cheerful giver. It should make you happy to give. God may give you the faith and desire to give away lots of your money. If God places that in your heart (and it’s not from a feeling of guilt), then I personally would encourage you to give big. Your parents will be your best money guides in the years to come, so let them help you make these big decisions. Giving could also be on the other side of our money talk, talking about spending. Where does your money go? Some should go to savings; some should go to giving. A goal would be to put at least 10% toward each, but it’s great to add to both those amounts any time you are able. While you are young, it’s a great time to save because you don’t have pressing needs like paying for a home or food for your family. Smart saving now will bless your now and future family. When I suggest putting money into saving and giving away a portion of your money, I’m talking about budgeting, deciding where your money goes. What does the Bible say about budgeting? Explain to someone what each of these verses teach about budgeting. Read the definition of generosity. How do you demonstrate this character quality and when do you miss the mark? Now there’s one huge topic that remains when talking about money. That’s debt. Debt is when you borrow money to someone and have to pay it back. When you pay it back, they collect interest. This is when interest works against you. Instead of making extra money, you pay extra money. We’ll look at the math of this later. First let’s look at what the Bible has to say about this. Read this article about debt. Explain to someone the five principles. Read from the beginning through the second purpose for money, to give to Christians. Stop at the third purpose and you’ll start there tomorrow. Read through these verses on debt. Explain to someone the general guideline that the Bible gives about debt. Generosity Start where you left off, with the third purpose for money. Finish the article. Debt is bad. Why do people go into debt? There are many reasons. The biggest reason is that they buy a home. This kind of debt is called a mortgage. The bank owns your home and you pay for it bit by bit each month, all the while paying interest. If you don’t know how interest works, here’s a video. Read this article to see just how much interest people pay a bank when they borrow money to buy a house. Do you see that you can pay more in interest than the house is worth? If you like graphs, check out the top one which shows what percentage of your monthly mortgage payment is going to the bank instead of to paying for your house. I admit it’s hard to buy a house without borrowing money. If you ever do borrow money, your goal should be to pay it back as fast as you can instead of giving as little as you can each month. It may seem like you have less money each month that way, but in the long run you are saving potentially hundreds of thousands of dollars. I do want to tell you that there are people who have bought their home without borrowing. In this family their older sons have bought homes debt free. The younger sons are working towards being able to do that as well. This article is written to fathers, but you can still learn the lesson of being wise and disciplined with your money. The article you read on Day 69 talked about being careful what you grow an appetite for. If you grow an appetite for something, you could be wasting your time and money on it for years and years to come. One thing that feeds appetites is credit. Credit is buying something with money you don’t have. You swipe your card and the bank pays for you. You can pay it back later, bit by bit. I hope you already realize how dangerous this is. You could buy something for $100 and end up paying $1000 for it. Why would you do that? Now I use a credit card. I use it because it’s convenient. I don’t have to worry about having enough money in my wallet. However, I ALWAYS pay my whole credit card bill in full each month. I never pay interest, and I never pay fees. It’s free for me to have the convenience of not carrying cash. Never buy something you can’t pay for. If it’s not in your budget, save up until you have the money for it. If you’ve ever watched 19 Kids and Counting on TV, maybe you’ve heard the mantra, “Save up for new; buy used; save the difference.” Buying a car that’s been used even one day is lots cheaper than buying a new one. You can save thousands by buying a car that’s just a year old. You don’t need new things to get good things. Be smart about your purchases. Be smart about saving. Be smart about controlling your desires. Be smart about what’s important. Cash vs. credit If you were diligent to save, you’d have the money needed when a problem came up. Generosity – This is a quote from a martyred missionary. What does it mean? What are examples of things you can and can’t hold onto? Watch this video to understand how credit card companies make you their slave. Maybe take a screen shot for your portfolio. Just for fun…”The Ultimate Gift,” by Jim Stovall, is a lesson on money. It’s a book and a movie. Read the definition of gentleness. How do you demonstrate this character quality and when do you miss the mark? Here is an article on ways to earn college credit. There are ways to work towards earning a degree while in high school. Earning credit also shows college admissions officers that you are college ready. Scroll down and choose one of the six options about gentleness and click on it. Read the overview and then look up the verses it gives you at the top. On Day 71 you read about the advantages of a checking account. If you are interested in learning about personal finance, here are some links. Read the definition of gratefulness. How do you demonstrate this character quality and when do you miss the mark? On Day 71 you also read a little about keeping your credit card safe. You don’t want to ever give your credit card number to anyone you don’t trust. Only enter the number on ecommerce websites that will protect your information. There are many scams out there that aim to get your credit card or other sensitive personal information. When you enter your credit card or other info online, they have you use a login. Use a strong password with capital and lowercase letters as well as numbers. Don’t just write a word. Don’t use your name or birth date. Read this article about scams that try to get your money and steal your information. I have gotten emails like these several times. A few times they were fake emails from PayPal. One said it was from Western Union and that I had money and had to log in to get it. Don’t fall for it. You can always go to the company’s real website and look carefully to compare the two. This isn’t to scare you, but you need to be smart about using the internet. Be honest with your parents if you encounter anything questionable online. They can help you. If you are finding it hard to avoid certain things, make a plan with your parents for how to help you. You can use a service that will block certain types of pages or things like chat rooms or even turn off internet access at a certain time of day. It’s a good idea to use some sort of help in keeping you and your siblings (and parents!) safe on the internet. One free service is called K9. Complete this internet safety/cyber bullying activity. Use your study skills to prepare for a test on what you’ve learned so far this semester. Read the definition of hospitality. How do you demonstrate this character quality and when do you miss the mark? Create a lumosity account. Say you want to learn it all. If you plan on taking the public speaking DSST, then read through this page before beginning this course, so you can pull out and take notes on relevant info. Go through page 2, key terms and an introduction to public speaking. You should go through the reading quickly, skim through pulling out main ideas. There is a fascinating three-part documentary about your brain, its capability and how to tap into its capability. If you can find it on youtube (or elsewhere), I suggest watching it. It’s called, Redesign My Brain. In part 1 he uses games like in Lumosity. Part 2 is about becoming more creative. I’m going to ask you to do some creative exercises. You can also develop your creativity by doing one thing differently every day. Eat something new; brush your teeth with the opposite hand; take a different route. You are just doing a little brain training in this course. If you want to do more, you need to take the initiative. Read the definition of humility. How do you demonstrate this character quality and when do you miss the mark? Read through page 3 on the parts of a speech. The textbook reading can be partially skimmed through. Pull out the important information. *Print the analyzing speeches assignment. Watch this video and fill out the analyzing speeches sheet you printed on Day 78. Let’s get creative. Start the one minute timer. How many uses for a mug can you come up with? Write down your list. Go through page 4 on planning a speech and then take the quizzes on page 5, all three. Record you score on your progress tracking sheet. Read about overcoming fear of public speaking. Here are some more tips about public speaking. Read this introduction to learning about the voice and ethics. Watch the first half of this one on ethics. Read the definition of initiative. How do you demonstrate this character quality and when do you miss the mark? Read about analyzing and connecting with your audience. Write and practice giving your speech. Time yourself. Let’s get creative. Read the “What’s a… duh… Droodle?” section. You are going to be looking at a simple line drawing and coming up with as many different, creative descriptions as to what it is like in the bowtie caught in the elevator example. You will be using the pictures on page 2. Imagine that they are numbered going across. The top row would be numbered 1 through 4. In the second row the pictures would be numbered 5 through 8 and so on down to 20. Start the one minute timer. How many different pictures do you see in this picture? Use picture 1. Write down your list. Have your audience score you using this rubric. (Skip “sources” and “audience.”) The total possible is 20. Record your score. Read this introduction on the importance of listening. Skip the last paragraph. Don’t worry about it. Read about effective listening. Use the arrow to turn the page. Watch about being an active listener. Use the ideas to practice listening. Listen for 10 minutes to this famous sermon, Ten Shekels and a Shirt. Read the definition of joyfulness. How do you demonstrate this character quality and when do you miss the mark? Practice listening. Listen for 20 minutes to this famous sermon, from 10 to 30 minutes. Practice listening. Listen to the end of this famous sermon, start at 30 minutes. It ends at 51 minutes. Watch the video about verbal and non-verbal communication. Read the definition of love. How do you demonstrate this character quality and when do you miss the mark? This is the end of the second grading period. If you want to save things for a portfolio, you could save your speech rubric with your scores on it along with your written speech. At this point in the course, I suggest your grade still be based on satisfactory completion of each day divided by 45 days. Read this introduction to choosing a topic, researching it and preparing to deliver a speech. Read about selecting a topic, researching it and preparing an outline. Use the arrows to turn the page to keep reading. Make a five bullet outline. Write an intro and thesis as well as a conclusion and closure line. You can leave the body blank for now. The body will contain the steps for how to do whatever it is. There should not be steps/directions in the intro and conclusion. Write the body of your speech. These are your steps to do whatever you are going to be explaining. Love. This is something you can do as a family. Perfect your intro and conclusion, especially your opening line, your thesis and your closing line. Make them interested. Leave them feeling satisfied. Practice your speech out loud. Remember that how you present your content is as important as what you actually say. Here’s how you will be graded, rubric. Read the definition of loyalty. How do you demonstrate this character quality and when do you miss the mark? Let’s get creative. Need some more inspiration to get creative? Check out this picture of four elephants investigating an orange. Start the one minute timer. How many different pictures do you see in picture number 2? (The second one in the top row.) Write down your list. Read all of the pages on the importance of words. Write down the 6 Cs. How did the speeches you read do in terms of the 6 Cs. You are going to give a speech telling a story about your life. It can be funny, sad, best day, worst day… Start working on your 5 bullets. Write an intro, conclusion, opening, thesis, closure. Your speech should be 3 to 5 minutes. Read the definition of meekness. How do you demonstrate this character quality and when do you miss the mark? Today work on the body of your speech. Think about the 6 Cs. Finish your speech. Think about your bullets, make them great. Think about the 6 Cs. Edit your speech. Practice it out loud. Think about how you will be graded, rubric. Let’s get creative. Start the one minute timer. How many uses for a ruler can you come up with? Write down your list. Read this introduction to informative speaking. Choose a topic (not a how-to). Be specific. Your speech should be three to five minutes. Go to page 3. Scroll to the very bottom. Put the cards in the right stack, the dos and don’ts of visual aids. Gather information/statistics that would work on a visual aid. Work on a visual aid for your topic. Read the definition of obedience. How do you demonstrate this character quality and when do you miss the mark? Start working on your speech. Get that opener right. Remember your five bullets. Get the opening and closing (with intro and conclusion) done today. Go to page 2. Scroll down. Click on each “C” word for a reminder. Let’s get creative. Start the one minute timer. How many different pictures do you see in picture number 3? Write down your list. Finish your speech and your visual aid. You will also be scored on your visual aid. Read the definition of orderliness. How do you demonstrate this character quality and when do you miss the mark? Have your audience score you using this rubric. (Skip “sources” and “audience.”) The total possible is 20. Put your speech in your portfolio. Go through all of the parts of page 4 on communication in business. Role play with someone where you ask for a raise. Role play with someone a job interview. Pick whatever job you want. If your interviewer needs help, here are some sample questions. Think about how you present yourself. Start with a hello and a handshake. Think about word choice. Read the definition of patience. How do you demonstrate this character quality and when do you miss the mark? Let’s get creative. Start the one minute timer. How many uses for a water bottle can you come up with? Write down your list. Read through several of the answers. Why are these answers considered good answers? What do they say about you as a prospective employee? Read about making speeches on special occasions. Do the two click and drag activities on the bottom of page 2. If you get one wrong, just pay attention to where it redirects to. Choose a type of special occasion speech for your next speech. Write the opening and introduction to your speech. You will be giving your speech on day 115. Read the definition of persuasiveness. How do you demonstrate this character quality and when do you miss the mark? Work on your speech. It should be five minutes. If you are given a time expectation, you need to make sure you meet it! Being on time will be part of your score. Let’s get creative. Start the one minute timer. How many different pictures do you see in picture number 4? Write down your list. Give your speech. It needs to be timed. Have your audience score you using this rubric. (Skip “sources.”) Consider the intended audience, not who actually heard it. The total possible is 24. Add up to six points for the speech being 5 minutes. Take off a point for every minute off. Let’s not forget our signatures. Practice writing your signature. We are going to take a detour before we learn about persuasive and argumentative speaking (or debating). We’re going to be learning about logic. Along with logic, we will be looking at bias in the media as well as propaganda. In these types of speeches you will hear what we call logical fallacies, basically bad arguments. The speaker may be using them very purposefully to trick people into agreeing with them. You need to be able to spot them so that you don’t fall for the trick. An example would be Al Gore saying that “All scientists” believe in global warming as a threat to the world so we all need to believe it too. Has he spoken to every scientist in the world? No. When there is something that is growing in popularity, then people use that to try to make others feel like it must be true and they should join in. That’s called the “bandwagon” fallacy. It’s what we call a logical fallacy. Here’s another example. Come up with examples of each. Persuasiveness Read numbers 3, 4, 5. Play 5 minute mystery. You’ll need to create an account. The False Cause Fallacy Here’s an example. I wore red and then our soccer team lost. I’m never going to wear red again to a game and we’ll win the championship! Appeal to emotion An example is a commercial that uses American pride to make you want to buy their American-made product. Persuasiveness Read numbers 6, 7, 8. The ad hominem fallacy Political campaign advertisements are great places to see a lot of these fallacies. The tu quoque fallacy These strange words are Latin. There is a strong Latin foundation to what we know as logic and rhetoric, the words we speak. Persuasiveness Read numbers 9 and 10. Read this page on media bias and answer the questions. Read through the top section with the directions. There are explanations of different types of bias on the side, which you should read through. Then read the excerpt and answer the questions. Persuasiveness Read numbers 11, 12, 13. Let’s get creative. Start the one minute timer. How many uses for a box of Q-tips can you come up with? Write down your list. Come up with an example of each. Put some of your examples in your portfolio. Read the definition of punctuality. How do you demonstrate this character quality and when do you miss the mark? Texas Sharp Shooter The saying goes that you can find a statistic to support anything. Middle Ground When you read examples of fallacies, they can be very biased. They will choose things they are against as the examples of the ones using the fallacies. This example does just that. (FYI: There have been many court cases won where it was shown that the child’s autism was caused by a vaccine.) Just because there are flimsy arguments for something you are for does not make all arguments for it wrong. But you know that, that would be a logical fallacy. Come up with an example of both. (*) For review, look over (and print out if you like) this page of all of the fallacies we just quickly went over. Read this story, Love Is a Fallacy, which presents many fallacies in it. *Then complete this worksheet on fallacies by finding examples from the story. Find all the examples you can. There are ten answers for that worksheet. Score 1 point for each example you provided. Record your score. There are some where there was more than one example, so you could get some extra credit on this one. Here is an answer guide if you need/want it. Read the definition of resourcefulness. How do you demonstrate this character quality and when do you miss the mark? Let’s get creative. Start the one minute timer. How many different pictures do you see in picture number 6? Write down your list. What fallacy is taking place in this story? You’ll find there are all sorts of fallacies out there, and many fall under others as types of fallacies. There’s not just one list out there of what they are. The important thing is to see the flaw and to be able to address it. What flaw is in this argument? A scientist wanted to know if all odd numbers were prime. He checked 3, 5, and 7. He decided that must mean all odd numbers are prime. I once discarded all the tax records for a particular year. Within a short time, the IRS notified me of an audit. They’ve never audited me for any year I kept records for. I therefore conclude that the IRS knows which records I keep, and won’t audit me on the years when I keep the records. If he was innocent, he wouldn’t be on trial. These examples came from the forum at the chronicle.com. Let’s look at propaganda. You’ll see that propaganda is a way logical fallacies are used. Scroll down and read through Activity 1 and Activity 2 about the definition of propaganda and examples of the seven most common types. Oh, it’s everywhere. How about some more propaganda in advertising. Read through this page on the message of advertising and answer the questions concerning the Messy Marvin ad. Keep scrolling. It will direct you to watch the clip again and answer more questions. You will NOT watch the Pepsi commercial. There’s immodest dress in it. Read the definition of responsibility. How do you demonstrate this character quality and when do you miss the mark? Read through the beginning and complete activity one on identifying fact from opinion in advertising. Think about it: how are opinions used in advertising as propaganda? Read this quote from Noam Chomsky’s Media Control: The Spectacular Achievements of Propaganda about slogans used as propaganda. In fact, what does it mean if somebody asks you, Do you support the people in Iowa? Can you say, Yes, I support them, or No, I don’t support them? It’s not even a question. It doesn’t mean anything. That’s the point. The point of public relations slogans like “Support our troops” is that they don’t mean anything. They mean as much as whether you support the people in Iowa. Of course, there was an issue. The issue was, Do you support our policy? But you don’t want people to think about that issue. That’s the whole point of good propaganda. You want to create a slogan that nobody’s going to be against, and everybody’s for. Nobody knows what it means, because it doesn’t mean anything. Its crucial value is that it diverts your attention from a question that does mean something: Do you support our policy? That’s the one you’re not allowed to talk about. So you people arguing about support for the troops? “Of course I don’t not support them.” Then you’ve won. That’s like Americanism and harmony. We’re all together, empty slogans, let’s all join in, let’s make sure we don’t have these bad people around to disrupt our harmony with their talk about class struggle, rights and that sort of business. How are slogans used as propaganda? Let’s get creative. Start the one minute timer. How many uses for a fan can you come up with? Write down your list. Read the definition of reverence. How do you demonstrate this character quality and when do you miss the mark? Reverence Read the first two sections. Reverence Read the section, Romans 3:18. Read the two speeches and compare them. What details were changed? added? Read the definition of security. How do you demonstrate this character quality and when do you miss the mark? Look at this list of propaganda techniques and use it to identify propaganda in the speeches. Do you think it’s possible for a reporter to be absolutely neutral? This is the end of the third quarter. It’s time to save some things for your portfolio. Print out some samples of the types of materials you are using. You can either grade based on days completed, or you can make that 60% of your grade and figure 40% of your grade to be your speeches and things. Read this article about the propaganda campaign against schools. What does she say are the methods used in the propaganda campaign? Be aware when something stirs up these feelings in you. Get control of your emotions and find out the other side to the story. Read the definition of self control. How do you demonstrate this character quality and when do you miss the mark? Since education is supposed to be the opposite of propaganda, people disguise propaganda as educational material. Read this article about propaganda in schools. Here are some examples of propaganda in schools. Here’s another example from a different political perspective. These are examples of changes to textbooks in Texas. Any idea what the propaganda message is? 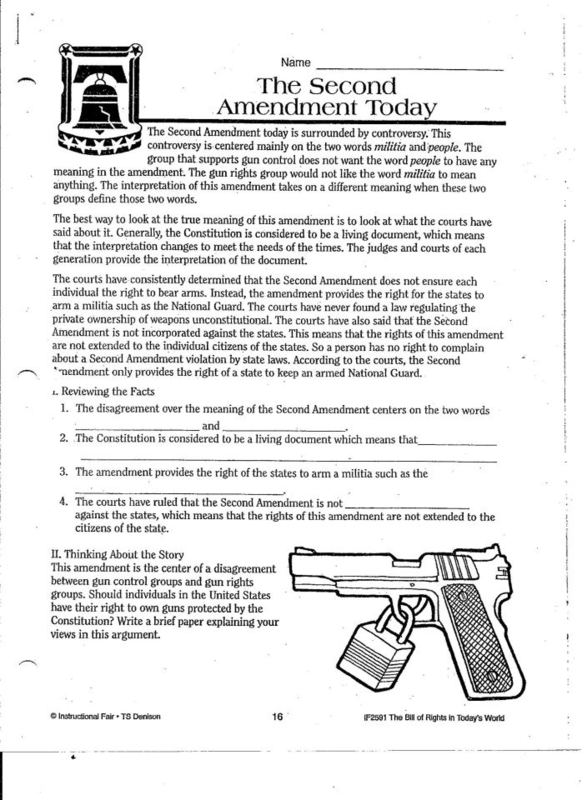 Here’s another about the second amendment. Look at these pictures to see some examples of history being altered: one, two. Look through this page pointing out errors about Jewish history. Some things about this slideshow about the Lusitania struck me when I saw it making the Modern History course. How do you know the newspaper headline on slide 3 is not fact based? It’s leading you a certain direction in how it’s worded. Some people think this was sunk on purpose to get the US into the war. Go through the slides. The first and the majority lead you to believe what? The last few (if the readers get that far) are saying what? Do you think this is propaganda? Below is from one of my assignments in the Modern History course. Why would they want their version of history taught? Read the definition of sensitivity. How do you demonstrate this character quality and when do you miss the mark? Watch this video on how children in schools are taught to use propaganda! How would teaching kids to be manipulative and to use fear and anger hurt relationships and damage their ability to have logical discussions about important topics? Read this lesson on bias in scientific research. What do you think of the manipulation in these ads? Look at the Time magazine cover on the right. Make an account at admongo. Start playing. Read the definition of sincerity. How do you demonstrate this character quality and when do you miss the mark? Keep playing. Are you done yet? Okay, one more day. Read through these definitions related to persuasive speech (use Firefox browser). Your next speeches are going to aim at convincing people of something. Some of this should sound familiar. Are you going to use propaganda techniques in your speeches? Watch the presentation on persuasive speech (use Firefox browser). Did you take notes? You haven’t forgotten all you learned about taking notes have you and good study techniques? There were four pieces to effective persuasion. What were they? They should be in your notes. If they are in your notes, record four points, all extra credit. Virtual high five! Read the definition of thoroughness. How do you demonstrate this character quality and when do you miss the mark? Read about Ethos, Pathos and Logos. Read this sample speech by Stephanie Cloward. Think of the four points of persuasive speech. How are they used in this speech? Read about the psychology of persuasion. Read the definition of thriftiness. How do you demonstrate this character quality and when do you miss the mark? Answer the first two questions about the speech. Answer the second two questions about the speech. Score up to 6 points for each answer if there were at least six sentences in the answer and they appropriately responded to the question. Record up to 24 points. Read the definition of tolerance. How do you demonstrate this character quality and when do you miss the mark? Before you start writing. Write down this outline of how a persuasive speech should be written and then choose a famous persuasive speech to read for inspiration. Write an analysis of your audience. Who are they? (Male, female, ages, education level, social status…) What are their feelings about your topic? What exposure have they had to the topic? Look at the rubric, below, before you start writing. Here is the rubric for how it will be scored. Pay attention to length and what kind of details you could include. Stuck on a topic? Here’s a list. Write an outline for your speech. Check out the rubric. Work on writing your speech. You have three days. Work on writing your speech. Read the definition of truthfulness. How do you demonstrate this character quality and when do you miss the mark? Work on writing your speech. This is your last writing day. A speech isn’t meant to be read. It’s meant to be heard, and nowadays, seen. Read this article on effective speaking techniques. What were some of his tips on body language? What does it mean to be engaged with your audience? Give your speech to an audience. 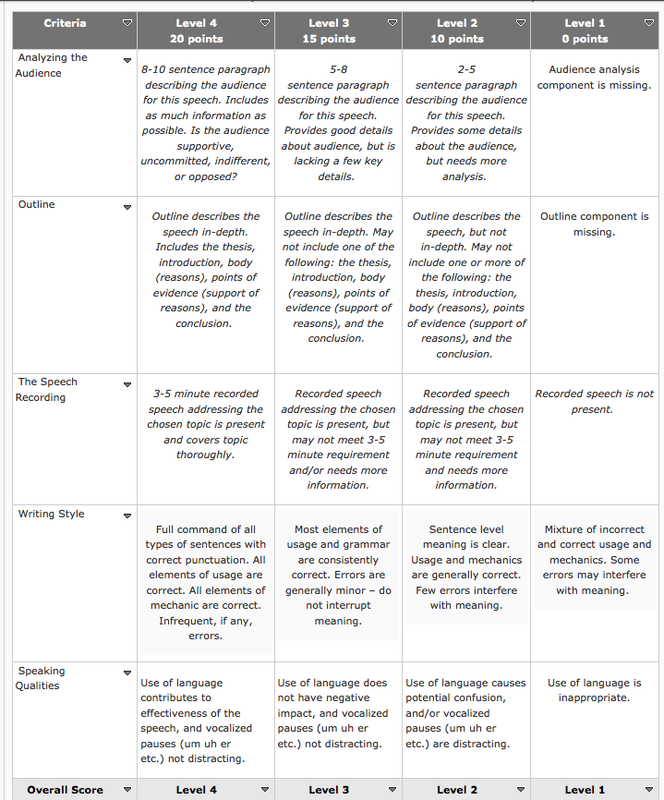 Your speech project should be scored with this rubric. Don’t forget to be practicing your signature. Sign your full name now. Sometimes it’s required for you to sign your middle initial. Practice signing your full name with middle initial. Argumentative speaking is a form of persuasive speech. It is the kind of speech done in debates. Read this introduction. Read about making claims and how to agree to disagree (next page). What does it mean to agree to disagree? How do you do it? What do you need to avoid? Practice signing your full name with middle initial. 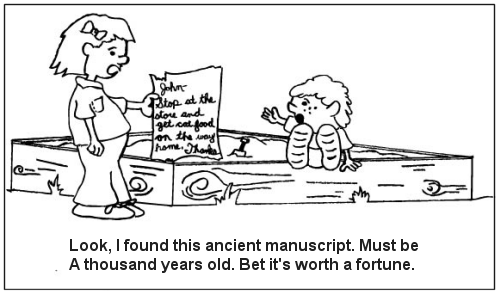 Read about the value of being a critical thinker, ethics and plagiarism (turn the page). Read the definition of virtue. How do you demonstrate this character quality and when do you miss the mark? Read this sample argumentative speech. What elements of argumentative speech do you see in the speech? Read this introduction to your final speech project. 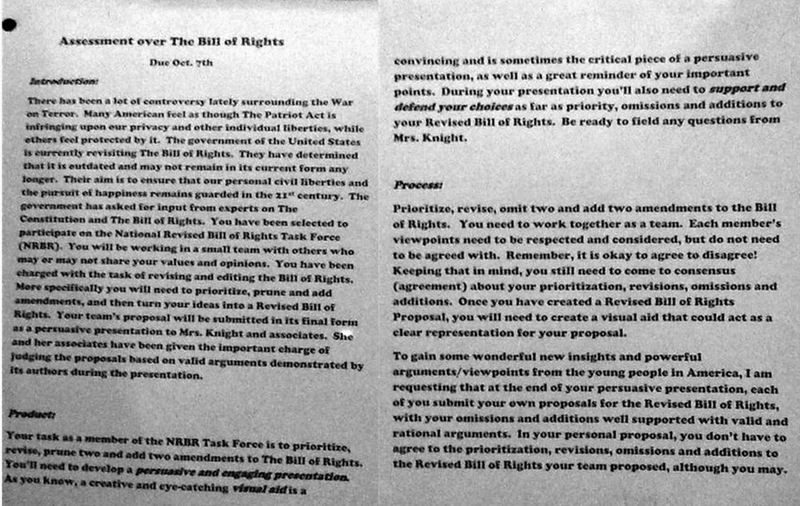 You will write and present an argumentative speech. It should be about four minutes. Choose your topic for your argumentative speech. You don’t have to choose from the list. These are just ideas. Here are other topics with some research videos for you. Do research for your speech. Do you remember your research techniques from earlier this year? Work on your outline for your speech. Work on your outline and do research as necessary. The more you put into your outline, the easier it will be to write. Read the definition of wisdom. How do you demonstrate this character quality and when do you miss the mark? Read over your speech (out loud) and practice. Edit as necessary. When you read out loud, you can find problems you wouldn’t have otherwise. Score it using the first rubric. There are 5 bullet points. Score up to 4 points for each. Double your score. Watch this video on what it takes to succeed. Do you have what it takes? Do you have grit? Notice how it says that certain “character qualities” are the best determination of success. What have we been learning about this year? What do you notice about the difference between the two cultures of education? Let’s see how successful your brain training was. Follow the directions to test your creativity. You can test your memory as well. Write a plan of action for both character traits. Many of the character traits have a section about “how to demonstrate” that quality which might help you. What are you going to do? When are you going to do it? How are you going to do it? Who will hold you accountable for doing it? One final project: invest in others. You are not more important than everyone else in the world. Be confident in who you are so that you are wanting and willing to build up those around you. Find your final grade for the course. I suggest multiplying your grade by .4. Then figure out your score for your 180 days of work by using how many days you completed of the course – completed days/180. Multiply that by .6 . Add those together or your grade. That makes your daily work worth 60% of your grade.